Made of extra strong, laminated, rubberized, food grade silicone based woven fabric. Reusable between 2,000-3,000 times. Sheet of 20. Sheet size: 15 3/4" x 12". 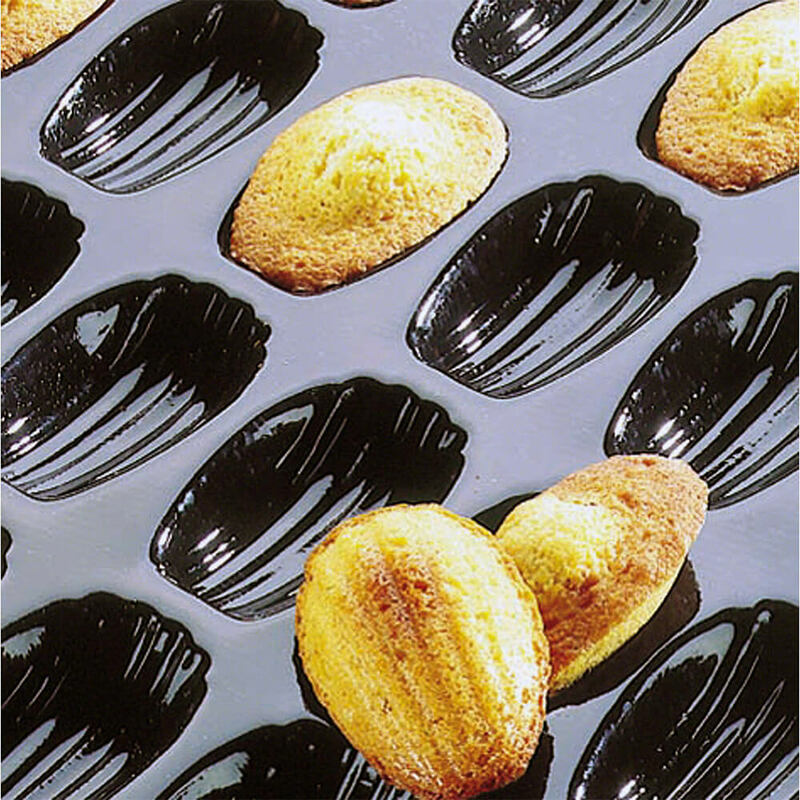 Madeleines are very small sponge cakes with a distinctive shell-like shape. Special Offer: Buy 2 or More Qualified Matfer Bourgeat Products and Receive $15 Off in addition to quantity discounts. Discounts calculated when products added to shopping cart. This product is brand-new, unused in its original packaging (where packaging is applicable) as shipped by Matfer Bourgeat. No greasing, releases and cleans easily. 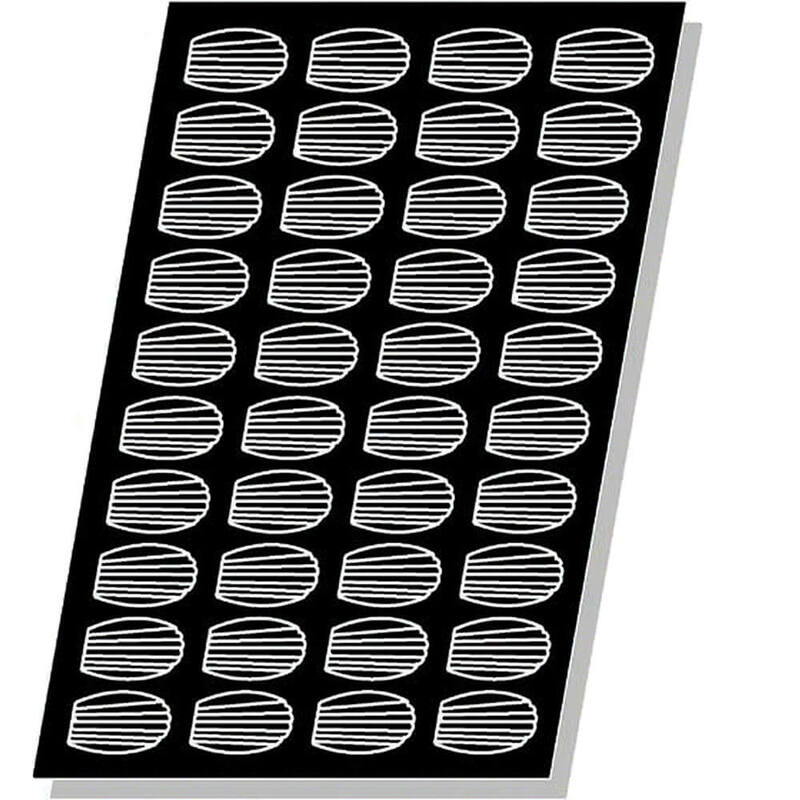 Withstands temperatures from -40°F to + 580°F. Sheet size: 15 3/4" x 12". Mold size: 3" L x 1 3/4" W x 3/4" H.